I have a tutorial over on the Tim Holtz blog today! Hope you will stop by to see how I made this Halloween Assemblage Clock. I used the new Grit-Paste on the outside of the clock which was not only easy, but rather fun to create the spooky exterior! 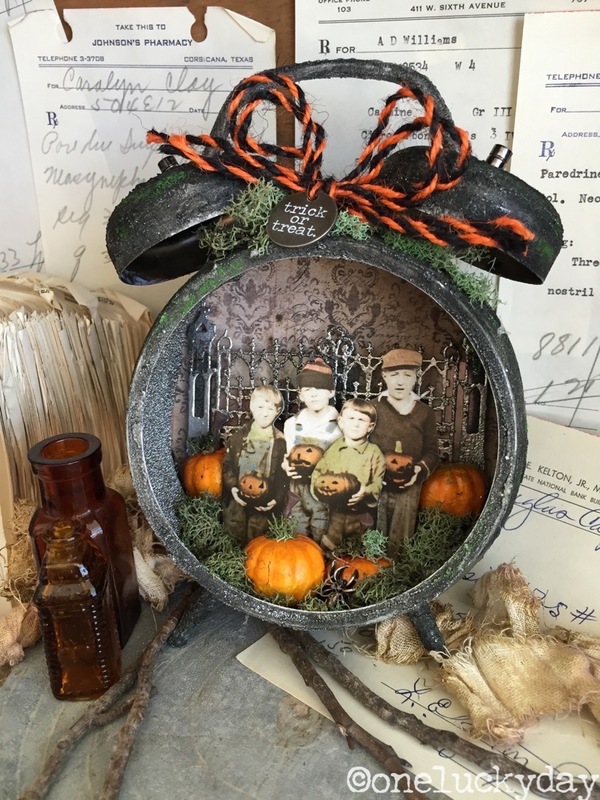 The new Pumpkin Pieces were the perfect addition for my Halloween pumpkin patch scene! You always do such cool things with Tim's clocks! You never cease to amaze me with your creative talent. BRAVO!